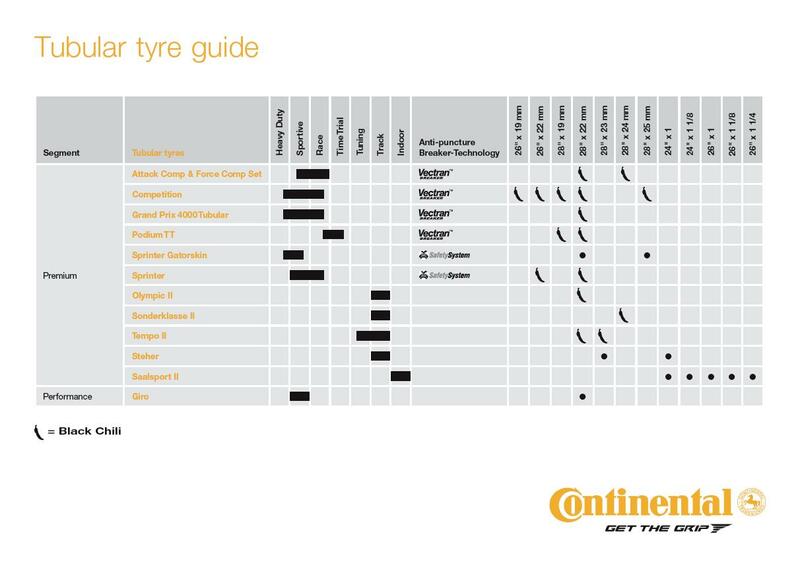 The Continental Sprinter Gatorskin Tyres inherits the best qualities of the hugely popular Ultra Gatorskin road tyre, with its durable carbon black tread mixture, puncture protection breaker layer and Duraskin anti-cut fabric. 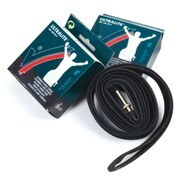 The Sprinter Gatorskin features the comfortable and lightweight feel of a tubular tyre. Professional riders use the same combination in their tyres for Pari-Roubaix and other classic events that take a toll on equipment. If you want to put in the miles, but your streets don't have the greatest tarmac, then this durable tubular tyre is for you. - A.D. I bought these tires believing to have a good durability and a good control; durability is not there, 2 punctures in 500 km of road with 100 psi of air pressure, punctures are created by an opening at the joint between the tube and the tire for both times. Definitely not a product to buy. Best training tubular ever. They rarely go flat before u see the threads . Usually peal them off when I have gotten my miles in. Beat training tubular ever.. Eun them to the threads! Excellent training tubular. They run down to the threads! So far I have put 400 miles on these tires and they are holding up great. No flats, they hold air pressure for days. 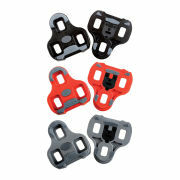 They roll well and no problems with cornering. I would definitely use these tires again. Best tubular tire that I've purchased. Ride well and last long for daily used. 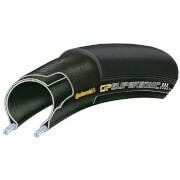 Brilliant Tubular Tyre, wouldn't use anything else for durability and reliability. There are lighter and slightly better rolling tubular tyres on the market but for all round ability nothing beats this one. One of the best tires for practice ever! As always, a great tire. Great price on this site.